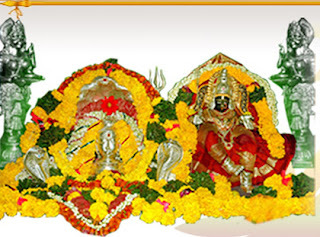 Bhadrakali Sametha VereswaraSwamy temple is in Muramalla village, I.Polavaram Mandalam,East Godavari district. 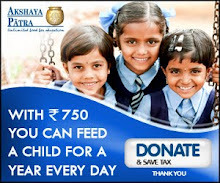 It is 27 kms from Draksharamam.50km from Ravulapalem and 37kms from Kakinada via Yannam. 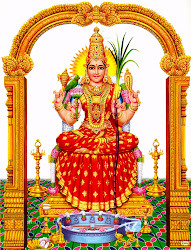 In Muramalla temple goddess Badrakali is present on the same flatform, to pacify Veerabhadra Swamy. This is unique and you cannot see this in any other temple. Here Nithyakalyanam is performed to VeereswaraSwamy and SriBadrakali. Everyday in the early hours, Veereswara Swamy is made as a bridegroom and at night 7.00pm they perform marriage and is followed by Pavalipuseva . It is believed that Veereswara Swamy gets anger if marriage ritual is not performed. They do it in a traditional way. They take the deities around the village before kalyanam, so be there by 6.00pm. You can also go with the procession. You have to book tickets in advance for performing kalyanam as they do it by your nakshatram. Only 27 people are allowed per day. All the 27 tickects will be full everyday. Many devootes come and perform kalyanam and later on get married to a good partner. It is belived that by performing kalyanam in Muramalla, those who are not married will get married in an year and those who are married will have good understanding between couple and will have good children. They will also get rid of health problems. Bhadrakali SamethaVeereswara Swamy temple in Muramalla is famous for this kalyanam and people believe a lot in it. Devotees should carry 2 garlands, bananas, beetlenuts, beetle leaves. Show your ticket in the temple office so that they will other arrangements. The history behind Muramalla temple is the continuation of the history of Draksharamam (see in Pancharamalu post). As you all know Lord Shiva created Veerabhadra from his Jatajutam to destroy the Yagnam in Drakshavatika (Draksharamam). Afterwards by the advice of Maha Vishnu Daksha was made alive and yagam was completed, Veerabadra did not calm down. Inorder to cool him devathas asked the help of Parasakthi .Then she came out of the near by lake as a young lady with 16 kalas and after seeing her Veerabhadra Swamy was pacified. Lord Brahma, LordVishnu and other gods performed there marriage there itself in way of GANDARVA VIVAHAM. From then onwards nithyakalyanam is continuing till date. You Need to be there by 6pm. Procession will start around 7pm. Kalyanam will start at 7:30pm and will be completed around 11pm.If you want to leave Muramalla at that time you will have only one bus waiting for you at the temple.If you need to go far, you need to have you own vehicle Or you need to stay there. Four rooms are available in the temple premises. Call temple authorities and book them in advance. Phone : 08856 - 278136, 278424. YOU CAN BOOK FOR KALYANAM THRUOGH THIS WEBSITE OR CALL THEM DIRECTLY . poojitha call the temple authorities and tell ur birth star ,they will tell you about the date . phone number :Phone : 08856 - 278136, 278424. No one is responding properly i hav booked for puja online .. trasaction over but confitmation message is not proper .. how can we know dat we alloted seat in puja .. not satisfied with queries help by temple authorities ..